I made a video file nearly 30 minutes long.... used the QuickTime Player 10.0 'trim' to divide video into 3 (not quite equal) parts. They are MOV files. Using QuickTime's 'Upload to YouTube' option, I began the Part 1. During the process, I got an error message saying upload couldn't be completed. Anyone have any ideas? why won't Quicktime movie share to YouTube? Generally speaking, with QuickTime installed on Mac, you are allowed to post QuickTime videos to YouTube without worrying about the video format and resolutions, for QuickTime videos, or MOVs, are one of the several compatible formats for uploading to YouTube. However, cases are always exceptions to the rule. As QuickTime file is comparatively large in size, all you need to do is to guarantee your QuickTime file smaller than 2Gb and less than 15 minutes in length by default. Then make sure your QuickTime video is encoded in H.264 and AAC that YouTube accepts well. Or else, you will encounter nothing but Waterloo. Downloading QuickTime to YouTube Converter Is a Must Have! I plan to convert QuickTime MOV to FLV, but every program I've seen is either a very limited free trial edition or I have to buy it. When I try putting the file as it is on youtube, it stops about half way through and says error. Anyone knows what can aid me to change QuickTime format or get it to YouTube I would be very appreciative. Honestly, to convert and put MOV to YouTube on Mac, resorting to a solid yet multipurpose video converter is essential. Yet, many of you are still stumbling on the way of finding the desired converter. 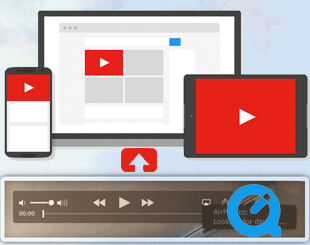 Fortunately, here comes MacX Video Converter Free Edition out of the crowd, a world-renowned QuickTime video converter to assist you to convert & compress MOV QuickTime to YouTube FLV on Mac like a cork with costing nary a nickle. Plus, you can also convert scads of HD and SD videos, like convert MKV to MP4, MKV to FLV, MTS to AVI, WMV to MOV etc. at your will so so to post 4K videos to YouTube without any hassle. Step 1: Load QuickTime File You Want to Convert. Free download this free QuickTime converter on Mac and launch it; load the QuickTime MOV files by hitting "Add File" button. Select the target format "to YouTube Video"→"to FLV/MP4/MPEG4" from Web Video Profile. Tips: It's totally at your disposal to apply this fascinating program to trim, crop video, add watermark and external subtitle to the video, and customize the video quality by tweaking video/audio parameters in accordance with your personal demands. After finishing the above steps, click the "RUN" button to start converting QuickTime to YouTube on Mac OS X 10.11, you could view the conversion progress and are able to cancel the converting process at anytime with the MOV Converter. 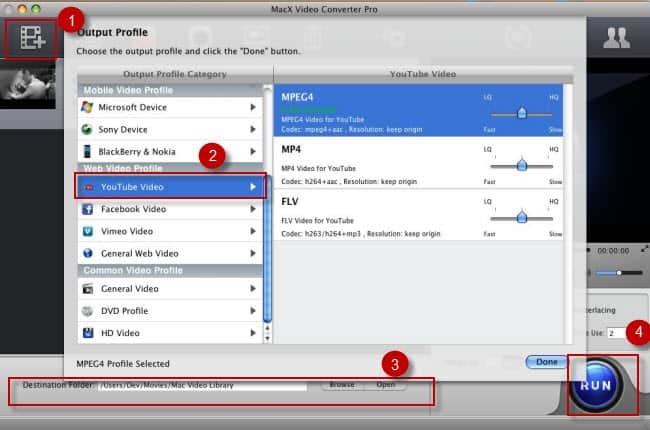 After the conversion, you can commence to upload QuickTime MP4 to YouTube right now. Step 1: Launch your Web browser and visit YouTube.com. Click the "Upload" link on the top right corner. Step 2: Click the "Select Files to Upload" button to import the converted QuickTime video. Step 3: Click the "Upload" button to begin the sharing process. 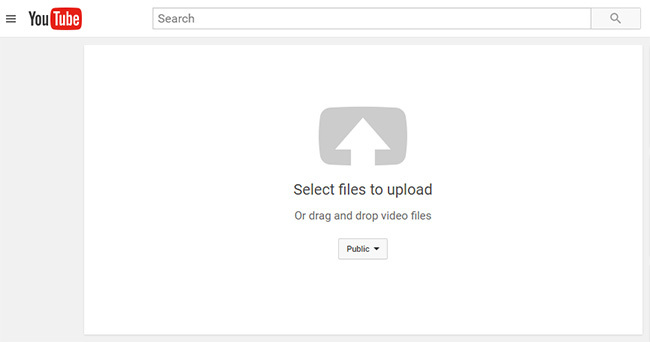 While it uploads, enter any pertinent information for your video (e.g. Title, Description, Category, etc). You can also choose to share QuickTime video on FaceBook, Twitter, and Google+. Step 4: Press the "Publish" button, done! You eventually complete post videos from QT to YouTube and you can share your QuickTime video with friends on YouTube. More information: For those who would like to download HD YouTube video to iPhone 7/7 Plus/6S/6S Plus/6/6 Plus/5S/C, iPad mini 4 (Retina)/Air 2, iPad Pro, Samsung Galaxy S6 Edge/S5/Note 4, HTC One M9 for offline watching, MacX Video Converter Pro is the very one you can count on. Trying to upload video to Facebook but get a Facebook video upload error? Now you can upload videos in any formats, like AVI, MP4 to Facebook by converting videos to Facebook acceptable formats. YouTube not supporting HEVC uploading? Convert HEVC H265 to H264 and then you can successfully upload HEVC video to YouTube, as well as Facebook, Instagram, etc. without any issue. How to upload video to Instagram from computer, YouTube, internet or link? Guide on Instagram video upload in HD/UHD from PC/Mac desktop, YouTube/web, iPhone Android without losing quality is shared here. MacX Video Converter Pro is the best YouTube HD video converter for Mac OS X (Yosemite/El Capitan/macOS Sierra included) with high quality and incredibly fast speed. It converts YouTube videos to MP4, MOV, FLV for iPhone 7/7 Plus, iPad Pro/mini 4, Galaxy S7, Huawei Nova etc.